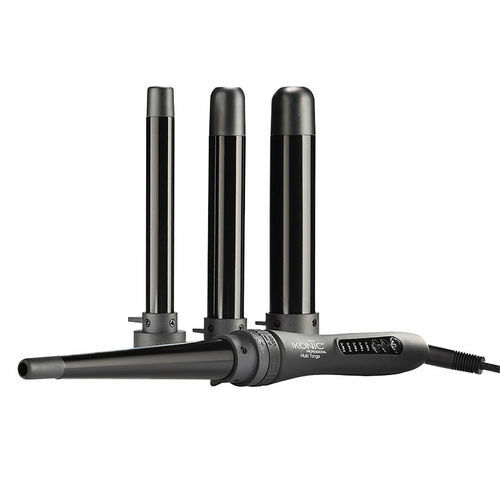 As the name suggests the Ikonic Multi Tongs curler comes with multiple barrels that allows you to switch from one barrel to another and create several styles. Each barrel is designed with precision and suits your requirement perfectly. One hour Auto Shut Off function. Additional Information: Ikonic Professional is a leading brand of professional styling tools and accessories in India. With an extensive product range Ikonic has been successfully catering to professionals with varied requirements. All the tools are designed with cutting-edge technology to bring you style, control and flexibility. Explore the entire range of Multi Stylers available on Nykaa. Shop more Ikonic Professional products here.You can browse through the complete world of Ikonic Professional Multi Stylers . Address of Mfg / Importer / Brand: 603/604,4th floor,Ameena Heights C.H.S,Anandrao Nair Road,Jacob Circle,Mumbai-400011,India.